Cement is often confused with concrete, and it’s a common misconception that cement and concrete are interchangeable terms. Is it a cement sidewalk or a concrete sidewalk? A cement truck or a concrete truck? Knowing the basic fundamentals of each, including history, composition, and differences, will help you sound more knowledgeable when talking to construction experts. First things first: cement is an ingredient in concrete. 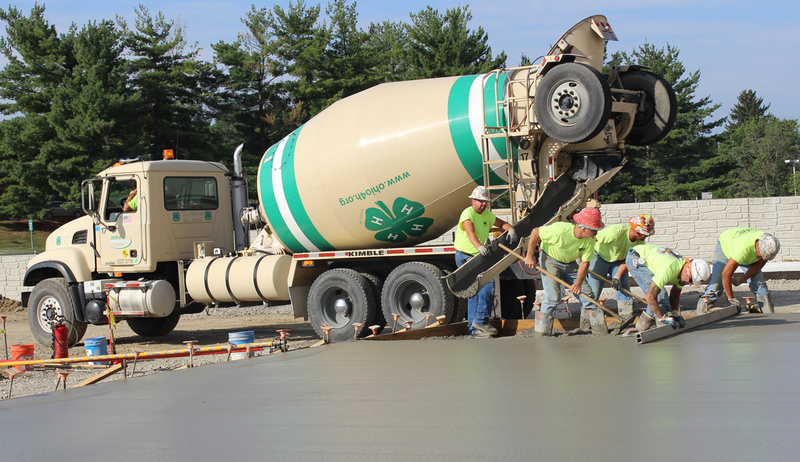 Concrete is the finished product used in building foundations, driveways, roads, homes, and the infrastructure around you. Below we’ll take a closer look at both cement and concrete including the major differences and uses. Cement – which is the “glue” that binds concrete together – is a fine powder made up of crushed minerals such as limestone and clay that function as a binder. Cement can be made from a variety of materials, but it can’t be used on its own. In fact, Roman cement was crushed rock with burnt lime, volcanic ash, and brick supplements. Today, Portland cement is the most common cement used and is one of the lowest cost materials around the world due to the widespread availability of limestone and shales. Type I cement is good for general purposes where special properties are not required. Type II has a moderate sulfate resistance and makes up the majority of cement sold in North America. Type III cement has a relatively high early strength meaning that it gains strength faster than Type I, enabling forms to be removed sooner. Type IV has a low heat of hydration and is used in massive construction projects. It develops strength at a slower rate than other types of cement. Type V cement is only used for severe sulfate resistance as it develops strength at a slower rate than other types of cements. 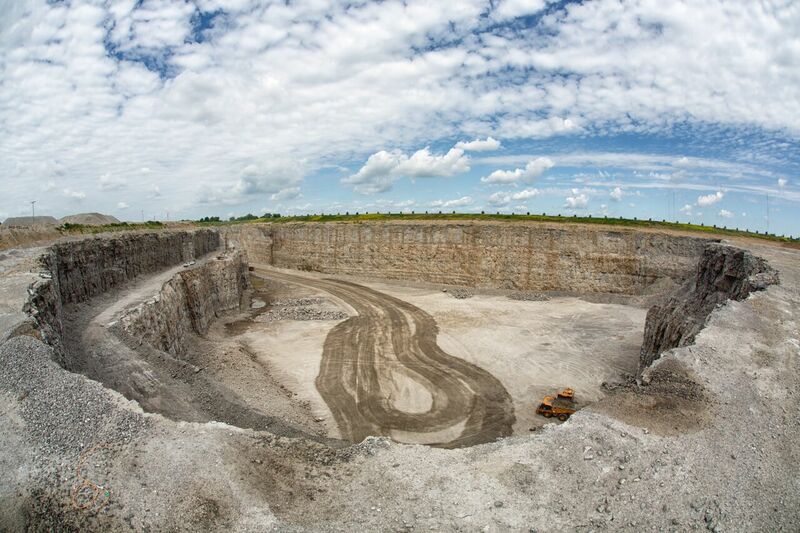 The first step in making cement is to extract limestone (and other materials) from a quarry by blasting. The materials are reduced in size and then transported to a plant for processing. Then, other materials like sand, clay, shale, iron ore, gypsum, and minerals are ground with the limestone to produce raw meal which is uniform in size and chemistry. The raw meal is then processed in a kiln that exceeds 2,642 degrees Fahrenheit or 1,450 degrees Celsius (hotter than molten lava when it erupts from a volcano!). A rotary cement kiln, which accounts for more than 95% of world cement production, is essentially a long tube that can be 12-feet in diameter and upwards of 300-feet long depending on the plant’s production capacity. 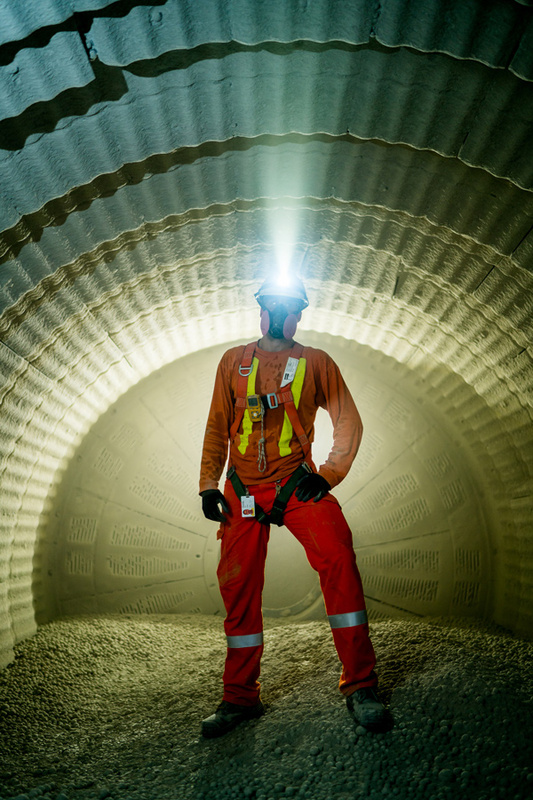 Processing the raw meal in the kiln allows for several structural changes and chemical reactions to take place and for new compounds to be formed that contribute to the strength of the cement. The white-hot chunks that emerge from the kiln are called “clinker” and are air cooled. The “clinker” is ground in a mill to a desired size and strength. A laboratory collects samples and checks for fineness, consistency, strength, and heat of hydration among other attributes. Because of the high temperature required in the kiln, coal, natural gas, fuel oil, and petroleum coke are often used for firings. However, with pushes toward more sustainable manufacturing, plant operators are more frequently adding recycled materials to their fuel such as landfill overflow, slaughterhouse waste, plastics, and more. Another example are tires that can be difficult to dispose of otherwise. Now that the “clinker” has cooled and it’s been ground into a fine cement powder, it is sold in bulk, bagged, or transported to a plant where it is mixed with other ingredients to form concrete or mortar. 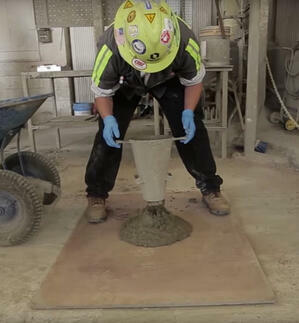 See first hand how cement is made in this video from the CRH Canada Mississauga plant. Concrete is the final product resulting from mixing cement, aggregates (including sand), water, and admixtures together. It is initially malleable in its “wet” state and solidifies over time, gaining strength and durability. The earliest usage of concrete was by the Roman Empire. While there is some indication that even earlier civilizations used a distant form of concrete, the Romans used a mix of quicklime, pozzolana, and an aggregate of pumice. The Pantheon is the largest concrete dome without reinforcement in the world build in 120 A.D.
Cement: This is the binder used to hold other materials together. Aggregates: Course aggregates (larger than 3/8” in diameter) and fine aggregates (sand). Admixtures: These are ingredients other than cement, water, and aggregates that are added to the mix immediately before or during mixing. Examples include chemical retarders, accelerators, water reducers, and superplasticizers; and mineral fly ash, silica fumes, and slags. 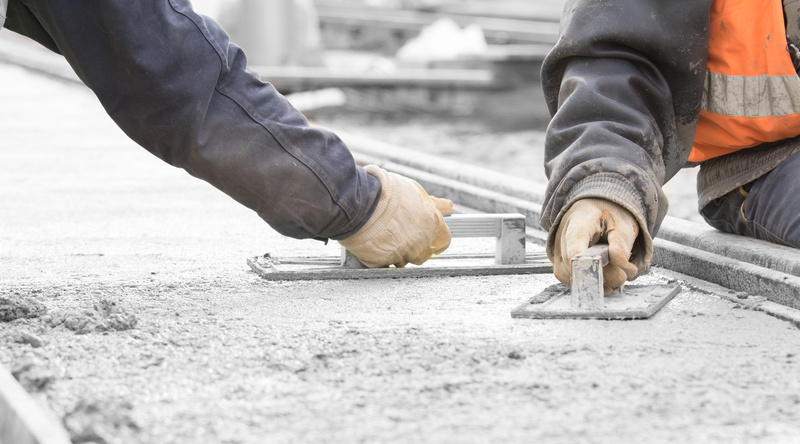 Depending on the application, there are a variety of concrete types that can meet your needs. An example is self-consolidating concrete (SCC) which is highly flowable and can spread readily into place without separating. The ratio of water to cement in self consolidating concrete is about .32 instead of .48 for conventional concrete. The flowable aspect of SCC makes it ideal for precast concrete. Another example is polymer concrete which uses a catalyst to bind aggregates together. It’s pressed instead of poured and used in applications where a higher corrosion resistance is needed (e.g. sanitary sewer manholes). Other types of concrete include high-performance concrete, pervious concrete, and shotcrete. Ready mixed concrete is manufactured in a batch plant and delivered to the project site with water added in a barrel truck. Often various admixtures are used to provide optimal results in different weather conditions. An example includes accelerators such as calcium chloride or non-chloride accelerators that increase the rate at which the hydration reaction occurs. With sustainable and green construction methods being top of mind, it’s important to understand the role concrete has on the environment. Concrete can stand for thousands of years and gain strength as it ages, where other building materials can rot, rust, and burn. Concrete from old buildings and demolished bridges, as examples, can be crushed, reduced, and incorporated into new batches as the aggregate component. It can also be used as rip rap and new road bases. Concrete is a highly energy efficient building material due to its inherent thermal mass and ability to absorb heat. Additionally, recycled materials – such as post-consumer glass and slag cement – can be incorporated into concrete for masonry units that can contribute to green and sustainable design. Hopefully you now understand the key differences between concrete and cement along with a better understanding of why concrete is one of the mostly widely used building materials worldwide. Want to learn even more about precast concrete including how it’s made? Get a behind-the-scenes look at one of our Oldcastle Infrastructure, A CRH Company, plants and gain first-hand experience on the manufacturing process.